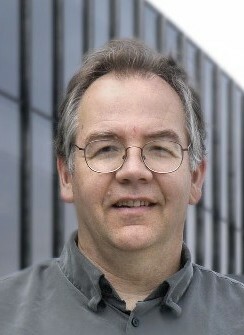 The chief system architect for the three generations of BlueGene supercomputers, he is an IBM Fellow at T.J. Watson Research Center and led exascale system research for IBM. He received his PhD in Theoretical Physics from the University of Wisconsin, Madison in 1987 for his work calculating the meson mass spectra utilizing a relativistic Bethe-Salpeter approach. After a year of world travel, he joined Columbia University where he became a member of the E690 experimental group at Fermilab. This was followed by research at the Superconductor supercollider (SSC) in Texas and then the Large Hadron Collider (LHC) at CERN. In parallel with this experimental physics work, he collaborated with the Columbia University theory group led by Professor Norman Christ. This group designed and built the QCDSP supercomputer, optimized for Quantum Chromodynamics (QCD) calculations. He was awarded his first Gordon Bell award for this work in 1998. In 1999, He joined IBM Watson research, where he has been the technical leader for three generations of Blue Gene machines. The first generation Blue Gene/L machine was number one on the Top500 list from November 2004 to November 2007. He received another Gordon Bell award for QCD calculations done on the Blue Gene machine in 2006. Innovations in the Blue Gene architecture have resulted in his being awarded more than 70 patents. IBM was awarded the National Medal of Technology and Innovation for Blue Gene in 2009. He now leads IBM's technical team working to achieve computing at the exascale level. In 2011, it was announced that he would be leaving IBM to join Intel.